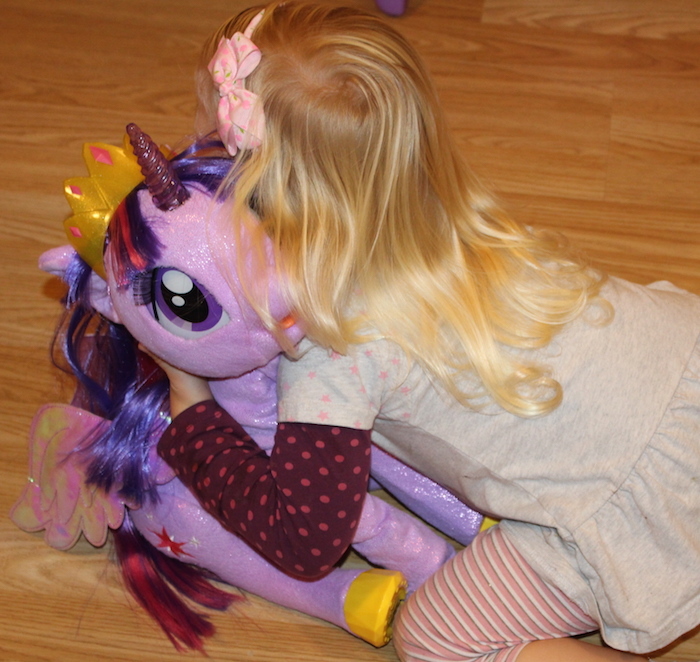 We are big fans of My Little Pony at home. 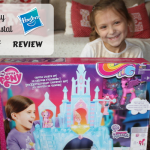 We have previously reviewed My Little Pony: Friendship is Magic and My Little Pony: Equestria Crystal Empire Castle. 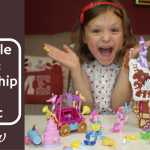 Sienna is even more enthusiastic about it than Bella but they both love playing with MLP toys. 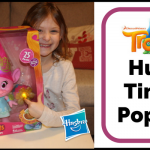 As part of Hasbro Toy Tribe, we recently received their latest My Little Pony My Magical Princess Twilight Sparkle to review. 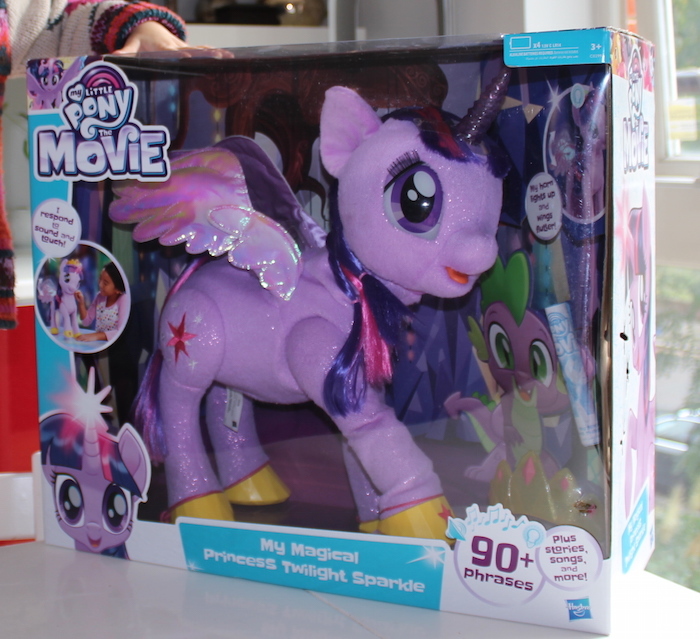 This new MLP toy as well as many other new MLP toys are out in order to celebrate the release of My Little Pony: The Movie, starring Emily Blunt with a soundtrack recorded by Sia. We are so excited about this movie as we were also been invited to a special screening which I will post about soon! 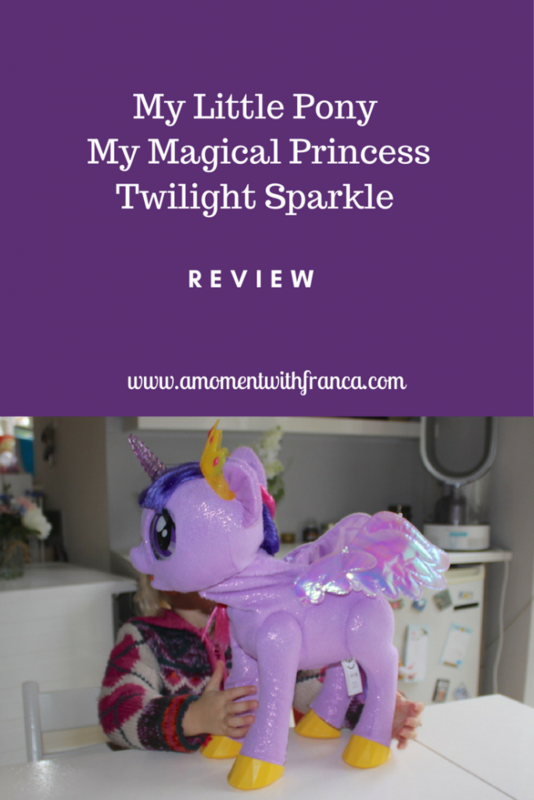 Before you read the review, please see below a short video we did with Sienna so you can see better all the features this cute My Little Pony My Magical Princess Twilight Sparkle has! When the parcel arrived, I was super surprised as it was very big. I honestly thought that the pony was much smaller. Of course, for little Sienna this was even more exciting! Since the moment we received it she wanted to open it. I wanted to wait until the weekend to do it so she was asking me every day until the weekend arrived if she could open the box! Bless her! On the morning we opened the box and after taking the pony out (which took us a little while), we noticed that we needed batteries for this toy! I was disappointed because we normally get toys with batteries so I wasn’t expecting that. We usually have plenty of batteries at home to avoid these issues, but this time we needed 4 x C batteries which we didn’t have. This meant we had to go out and fetch some in order to make the pony work. When we came back, we put the batteries in. It was a little bit of a job to do this but I think it was because of the position of the battery compartment, but we managed at the end. 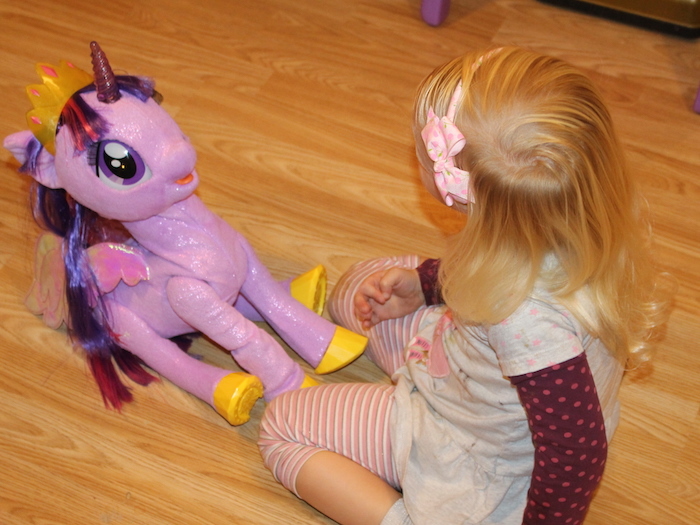 As soon the batteries were in, the pony started moving and talking. This pony is quite impressive! I have not seen a toy like this before! 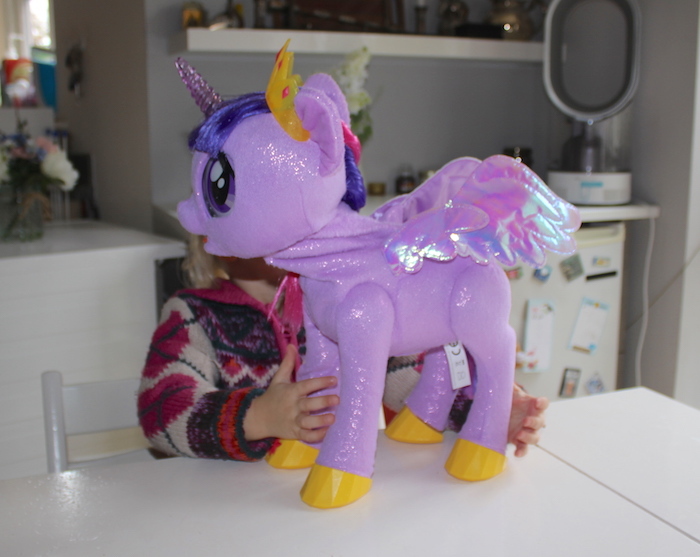 She is a pony with Pegasus wings and a unicorn horn which lights-up. She can do a lot of things like moving her head and hoof. You can also see her eyes open and close a lot which makes her feel like a real pony! Sienna was completely mesmerised! Responds to sound and touch. Says 90 plus phrases, tells stories, and talks about spells. Her horn lights up and flashes. As a faithful pupil to princess Celestia, princess Twilight sparkle is always learning just how magical friendship can be! If you press the Star Button on her hoof you can hear her friendship advice, stories or songs, too! You can move her legs into different poses, so kids can help her to sit or to stand. Sienna put her on the floor and moved her legs. She was then in a super cute position that Sienna couldn’t resist cuddling her even more! If you touch her horn she talks about her magical spells. You can see how she flutters her beautiful wings and can imagine her soaring over Equestria. Princess Twilight sparkle also has a beautiful mane and tail to style and a tiara to complete her look. This was one of the features that Bella, who is older, enjoyed the most! She really loves styling her and doing some beautiful plaits! 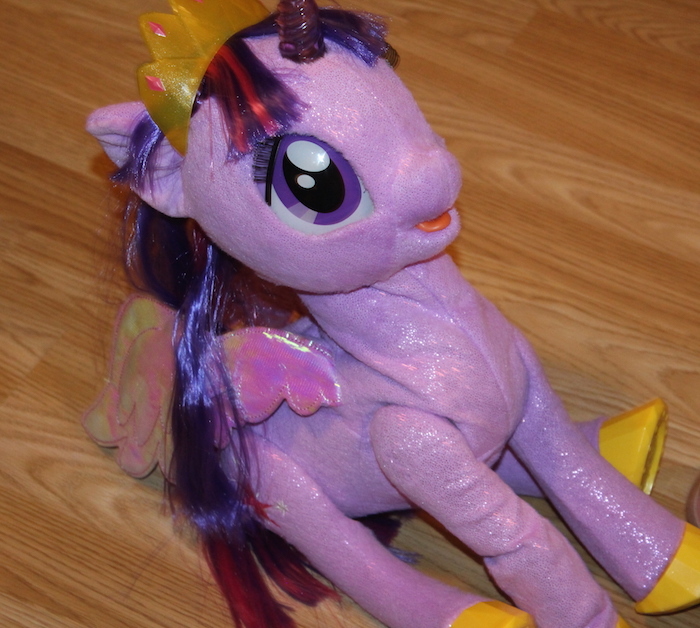 As I said before, the Twilight Sparkle pony is very big. When standing she is around 44cm high which is quite a lot for a 3 year old! However, this is what Sienna loved the most! Songs (sings songs, hums, encourages you to pick a note and sing along etc) and Magic and Spells which has extra functionality to the unicorn horn. This is a super cute toy. 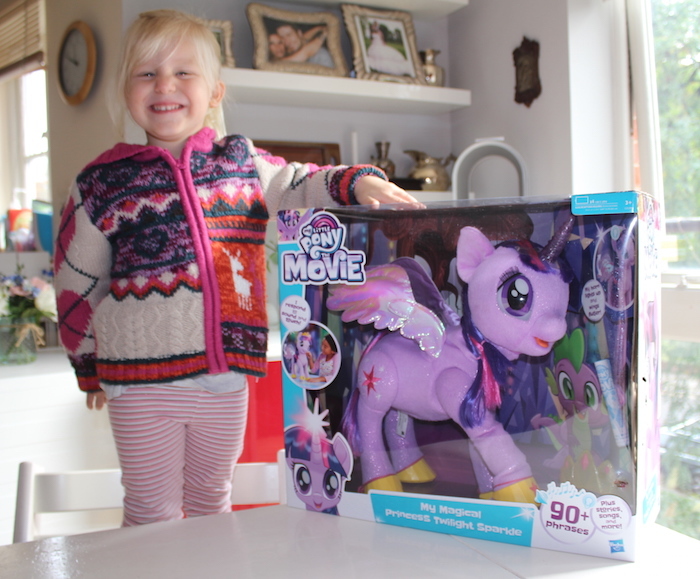 Any My Little Pony fan will be over the moon to receive a toy like this! It has some interesting features such as responding to touch and sound. With 90 phrases and with so many stories, songs and questions, your kids will never be bored. 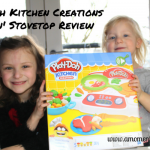 It is an expensive toy but it comes with a lot of interactive features which will keep your kids amused. 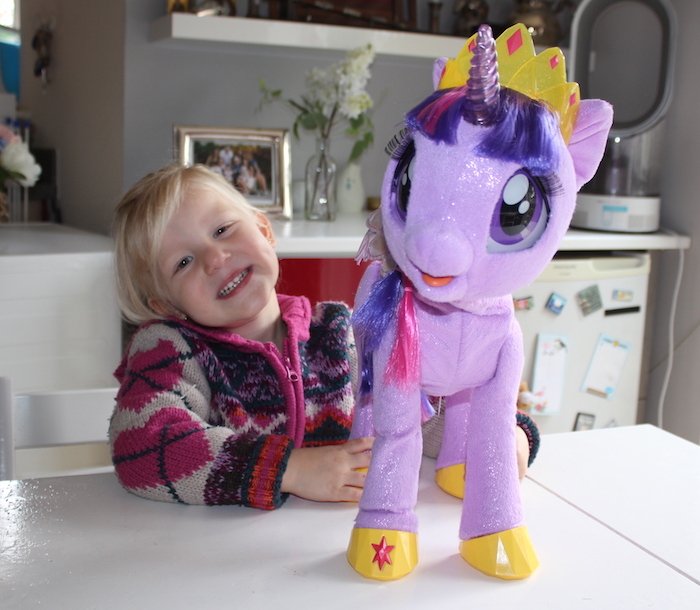 My Magical Princess Twilight Sparkle would definitely be a hit for Christmas! Any My Little Pony fan would love one! Overall we are very pleased with it. My daughters love her! Are your kids also fans of My Little Pony? 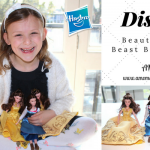 Could this cute toy be on your little one’s Christmas list? Are you looking forward to watching the movie? 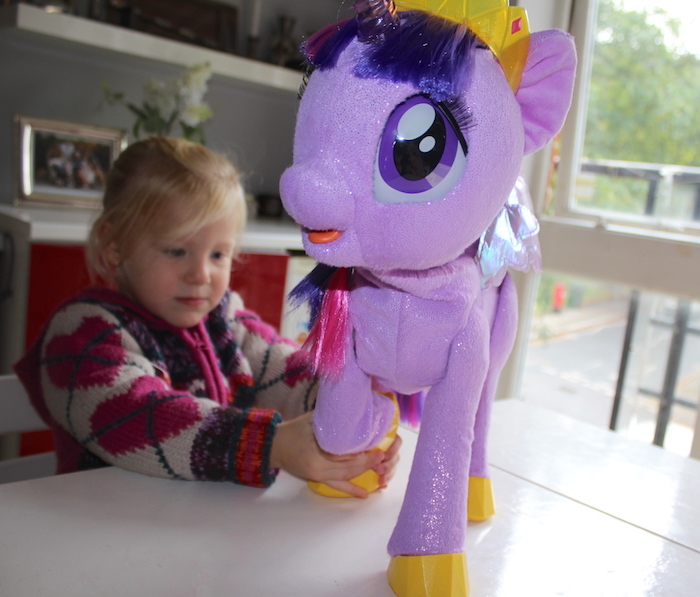 *Disclosure: we received My Little Pony My Magical Princess Twilight Sparkle as part of our ambassador roll for Hasbro Toy Tribe. However, all my thoughts and opinions are my own. Such a great review. Very in depth. Loved the video too! Its annoying that toys dont come with batteries…..every xmas we have to make sure we have loads of batteries to avoid disappointment ! this is going to be a big seller this xmas. great review. thankyou.